Throughout the last 12 years Live Worldly has helped over 200 businesses and non-profits sell their product, build their brands and give back to their purpose. The social impact business has worked across sectors, including travel, wellness, services and retail, with the goal of helping companies with purpose become successful. Founder Kael Robinson connects with AOW to tell readers a bit more about how she’s helped grow artisan businesses, advising on everything from warehousing to creating and maintaining a direct to consumer business. Tell us a bit about the main services Live Worldly provides. 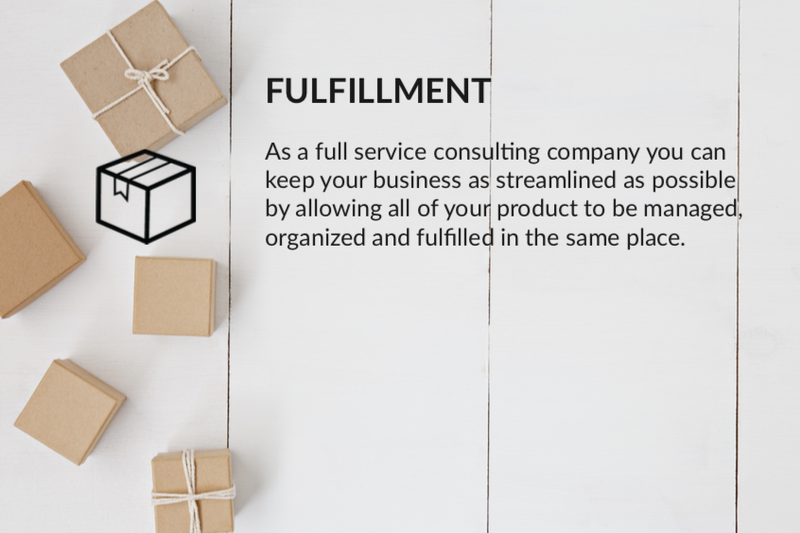 We provide a full range of services, including branding, marketing, social and digital marketing, sales development strategy, fulfillment, website services, third party launch and maintenance (Amazon, Etsy), and more. We help the brands we work with house their products in a warehouse for a lower rate as well as fulfill orders from customers, wholesale partners, and Amazon shipments. We also provide full-service launches of stores and product on Amazon – we have created a streamlined process to help companies grow on the platform. That means doing all of the marketing, shipping, advertising, content development and Amazon analytics to launch and grow businesses on Amazon. Why did you decide to start Live Worldly? We started Live Worldly because we noticed there weren’t companies offering everything needed to start and grow a company. We were having to go to 10 different places to get all the things we needed. That meant we were spending way more time and money then we should have on websites, marketing, Amazon launches, fulfillment and more. We work a lot right now with social impact businesses that sell products that give back in some way. We work with clothing, jewelry, wellness, and home good brands, as well as interior designers, DJ's, artists, travel companies and more. For a number of reasons, many are skeptical of Amazon as a platform. What are your thoughts? What we are noticing with Amazon and our clients is that they are just getting more traction there because more people are shopping on Amazon. More people are there than anywhere else – people just aren’t shopping the way they used to. They’re looking for and expecting that level of convenience. To get ahead of the curve it’s important to get your products on there as soon as you can to build your brand rating and awareness. If someone wants help creating a direct to consumer model via Shopify and doesn’t want to sell on Amazon, is that a viable option in your opinion? We work directly with Shopify to help brands get more traction on their website as well. We have a system creating ads to help bring awareness through Google and social media that will drive traffic to your site. What are your thoughts on Amazon and artisan. Do you think it’s really a good option for luxury and handmade goods? I think Amazon is a great route for people to see your brand and buy your product no matter what it is. There’s no reason the foundation of your brand and your ideals can’t be consistent with the content you display on Amazon. Our goal is for our clients to stand out and Amazon has several handmade programs as well as an artisan focus where they help promote brands that are artisan-made. Can you tell readers a bit about your process for helping a client build a direct to consumer strategy? How successful can this type of strategy be? We have a couple of companies we have worked with that have gone from $0 in sales to about $30,000 a month in sales. We work with a jewelry company called Pame Designs, a clothing company called Bold Babe and a social impact clothing company called Emerging Heroes. We work with an interior design firm called Barbara Gisel Design. We have helped launch a store on Amazon with all of her showroom products. We have also helped some service businesses, including Sewald Hanfling, Crystalline Acucare, Sacred Crystal Fusion, Mag Mantra, and Clean Path. Do you provide professional product photography of goods which are sent to you? And if so, how do you charge? Yes, we can help get a lifestyle and product shoot done with our photographer and it ranges from $1,000-$1,500 depending on what is needed. What price points are best when it comes to selling on Amazon? Honestly, we have items from $20 to $400 on Amazon so there is a healthy range, but I think right around $50 is usually what sells best. The more unique and niche the product the better. What are some of the most popular items selling on Amazon at this time? And, at what price point? I imagine this continuously changes but are you able to share? Home goods, fashion, accessories, and price points that are great would be $20-$150 for most of the items to sell well. We have higher-priced items ($200-$400) though that also do well. What are Amazon’s fees like? The Amazon fee is only 16% of the sale and they pay for shipping. The only other fees would be around $50 a month for creating campaigns to sell items and have Amazon promote your product. If you would like me to put you in touch with, Kael, email (annie@aowhandmade.com) and I will make an introduction. Or, you can go visit her site at http://liveworldly.com.